To serve others effectively, you must be attuned to what they need. What keeps us from doing that? Assumption. A lady in an airport lounge bought a packet of cookies and sat down to read the newspaper. She heard a rustling noise and looked up to see the man beside her helping himself to the cookies. Not wanting to make a scene, she leaned over and took one herself, hoping he’d get the message. Then she heard more rustling. She couldn’t believe it. The man was helping himself to another cookie! There was only one left! She watched in disbelief as he broke the remaining cookie in two, pushed half across to her, popped the other half in his mouth, and left. She was still furious when her flight was announced. Imagine how she felt when she opened her handbag to get her ticket out—and found her unopened packet of cookies! Now be honest, didn’t you assume the stranger was helping himself to her cookies? Sure you did. And that tells you a lot about yourself! Too often we’re guilty of making assumptions about people. And once you put someone in a box it’s hard to think of them any other way, right? Every time a good tailor sees a client, he takes new measurements. He never assumes they’re the same size as they were the last time. That’s a good policy. Never make assumptions about someone’s background, profession, race, gender, age, nationality, politics, faith, or other factors. Once you do, you stop paying attention and miss clues that can help you to know what they really need. Heavenly Father, Thank you for your Word today. Lord thank you for teaching us to be sensitive to others. Sometimes even we have money in our pocket to extend help to them we extend praying to them and we are not sensitive about their needs. Lord touches my heart to serve un-selfishness with the need of others that they may see glimpse of hope through our good acts and give us a chance to share the gospel for their salvation for your glory In Jesus’ Name. Amen! How do you respond to correction? By taking offense? By interpreting it as rejection? By getting defensive? By shooting the bearer of bad news and making sure they never get to you again? By keeping score and saying, “In comparison to what I’ve accomplished in life, you’ve done nothing”? By giving in to self-pity and thinking how hard your life is because people don’t understand or appreciate you? We need people who’ll be honest with us. Why? Because we’re too easily blindsided by our egos! When God sends somebody to correct you, it’s because He wants what’s best for you. His willingness to correct you actually demonstrates how much He cares for you. “If you are not disciplined…you are illegitimate children and not true sons” (Heb 12:8 NIV). (1) Vulnerability. When they’re wrong they’re capable of admitting it—even before they’re confronted. (2) Teachability. They’re willing to hear, quick to learn, and always open to counsel. (3) Availability. They don’t try to avoid you. (4) Honesty. They are committed to the truth regardless of how much it hurts. You say, “That’s a high standard.” You’re right! It’s a standard pride resists and fragile egos run from. There’s something in each of us that would rather look good than be good. So when God sends people into your life who love you enough to level with you—be open to them. Your personal growth and success depend on it. Heavenly Father, Thank you for your Word today. Lord thank you for sending people in my life who are nearest to me and thank you for using them to rebuke and correct me so that I would a excellent Leader that you want me to be. Lord thank you that sent someone who gives their honest observation for me so that I will be aware of my attitude in every moment in my life and through correction I will be growing as a Leader ready to lead your people even in a difficult situations. Lord strengthens me not to discourage because of other’s critics but be encourage to serve you and to perform the assignment that you gave to me faithfully for your glory In Jesus’ Name. Amen! (1) Your dream may work out differently from what you thought. 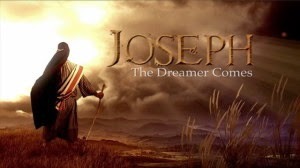 As a boy Joseph dreamed of being in a position of power. But God had something better in mind: namely, the saving of a nation. What God has in mind for you will often exceed all your expectations, bless others, and promote His kingdom on the earth. (2) When it feels like you’re losing, you’re learning. When you experience unfair treatment and hardship, complaining doesn’t do any good. Plus, you’re not growing while you are grumbling! In every experience there’s a lesson, so glean it and move forward. When life knocks you down—just make sure it knocks you to your knees. (3) Seek divine promotion instead of self-promotion. Every time Joseph tried to promote himself it worked against him. Look what happened when he asked the royal cupbearer, who was his prison-mate, to recommend him to Pharaoh: “The chief cupbearer …did not remember Joseph” (Ge 40:23 NIV). Heavenly Father, Thank you for your Word today. Lord thank you for the difficult experienced that I had encountered before because of that I learned a lesson to trust you and not to trust for people because I believe Lord that it’s your blessings from you that you would make me rich and you add no sorrow to it. Lord helps me to be wise in every decision I make and to learn the mistake that put me into difficult situation. Lord empowers me not to trust the materials blessings or in my emotions or others or even myself/ flesh but to trust you always with your Word so that I will be learned the hard way and develop my confident in you and harness my talent that you entrusted me for your glory In Jesus’ Name. Amen! Everything Jesus did for His followers, the Holy Spirit does for you. Jesus taught; the Holy Spirit teaches us. Jesus healed; the Holy Spirit heals us. 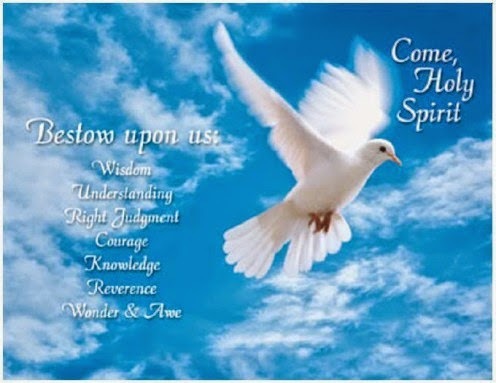 Jesus comforted; the Holy Spirit comforts us. Jesus sends us into new seasons, and He sends His Counselor with us. You journey in the company of the Holy Spirit Who “will teach you everything and remind you of everything I have told you” (Jn 14:26 NLT). When change comes embrace it, don’t resist it. Change is not only a part of life, it’s a necessary part of God’s strategy for your life. To use us to change the world, He alters our assignments. Gideon the farmer became a general. Mary the peasant girl became the mother of Christ. Paul the rabbi became a world evangelist. God transitioned Joseph from a baby brother to an Egyptian prince. 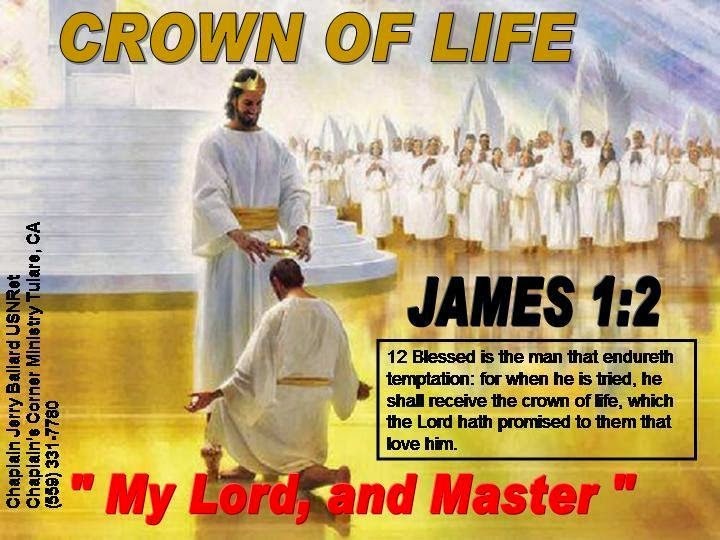 He changed David from a shepherd boy to a king. Peter wanted to fish the Sea of Galilee; Christ called him to lead the first church. God gives us our assignments. But what about painful changes that are hard to understand? It’s like your time in the womb: You are being developed for a greater time outside the womb. Inside the womb you had the ultimate comfort and security. But only outside the womb could you fulfill God’s purpose for your life. Your life in this world is simply to prepare you for your life in the next one. That’s why Paul wrote, “These little troubles are getting us ready for an eternal glory that will make all our troubles seem like nothing.” Eternal glory—you can hardly imagine it! Heavenly Father, Thank you for your Word today. Lord thank you for your assignment that you gave to me. 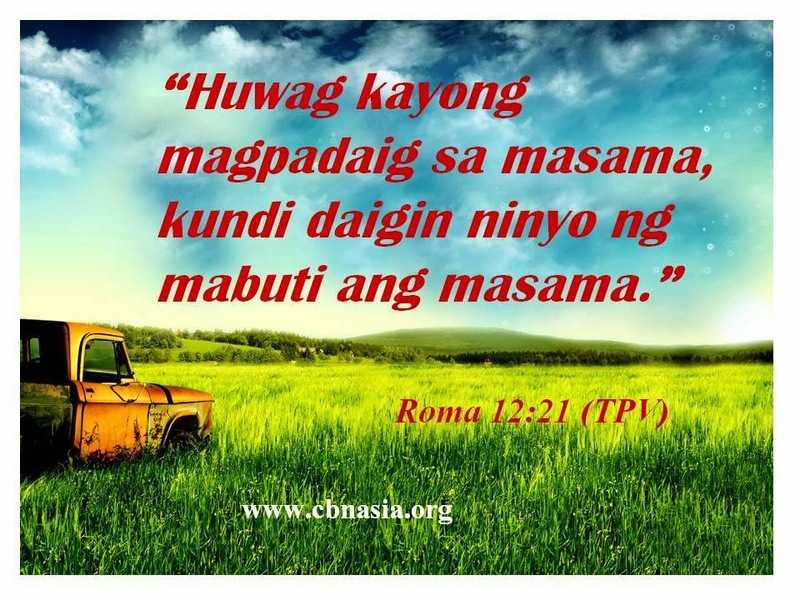 Lord thank you for reminding us that sometimes in our lives we could not avoid trials and problems that surrounding us and force us sometimes to adjust and if possible to change just to continue to improve and carry his mission to us. Lord thank you that you are working side by side in us you did not leave nor forsake us but you oh Lord watches over our steps and you are there to rescue us in-case we stumble and we couldn’t carry the the load that we have and even the enemies are trying to stop us you are there to fight for us. Lord thank you that you give us chance to have hope and strengthen by Holy Spirit that we are reminded that our rewards in the future or in the heaven far out weight everything and that is eternal life and perfect joy for your glory In Jesus’ Name. Amen! As a departing teacher might introduce the classroom to his or her replacement, so Jesus introduces us to the Holy Spirit. And what a ringing endorsement He gives Him! He calls the Holy Spirit His “representative.” The Holy Spirit within you comes in the name of Christ, with equal authority and identical power. How comforting it is to know that, when you’re entering a new season of life in which so many things will be different. This verse is translated in different ways. The Holy Spirit has been assigned to come alongside you. He is the presence of Jesus with and in you. Can you see how the disciples needed this encouragement? It’s Thursday night before the crucifixion. By sunrise they will all have abandoned Him. Within twenty-four hours He will be hanging on the cross and their world will seem like it’s been turned upside down. Heavenly Father, Thank you for your Word today. Lord thank you for sending the Holy Spirit who go with me always to help and comforts me when I am down and support when I badly needed helps. Lord thank you for love and commitment to us and most especially for walking with us and sharing us together Lord our hurt ached and pain and even our disappoints but we thank you Lord for all of these because I believe that you will never leave nor forsake us because you have promise that you will supply all our needs according to your richest glory. Lord teaches me everything that I need so that I will walk blameless for your glory In Jesus’ Name. Amen! 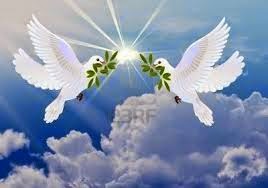 A time for war and a time for peace” (Ecclesiastes 3:2-8 NLT). When you need an advisor because you’re not sure what to do or which way to go, the Holy Spirit is available to guide you. That means you must be sensitive when He highlights a particular Scripture you’re reading, or plants a persistent thought or idea in your mind that won’t go away, or speaks to you through a friend. You’re not alone, unless you want to be. Just consult the “Counselor” within you. Heavenly Father, Thank you for your Word today. Lord thank you for letting my life to pass in every season. Lord thank you that you did not leave me alone because as I pass through this season you are going also with me you comfort me and direct my direction Holy Spirit. 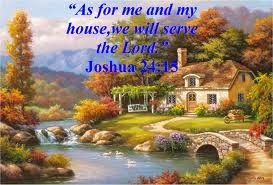 Lord allow the Holy Spirt to empower me as I walk blameless and to serve you for your glory In Jesus’ Name. Amen! Know what are you Fighting for?